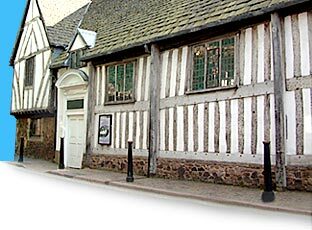 The Leicestershire Historian first appeared as the annual publication of the Leicestershire Local History Council in 1967, but when that body ceased to exist in 1995, the Leicestershire Archaeological and Historical Society took over its publication. Early editions of the LH were quite modest running to around 28 pages, occasionally reaching 40. By 1977 52 pages was the norm and remained so until 1991 when the Jubilee edition was published which contained 64 pages. The next major change was to move from A5 to an A4 size which first appeared in 1998. Most editions of the LH contain a review of recently published books on Leicestershire. The Society does not have the resources to copy articles for researchers, but a paid-for service does exist via the Record Office for Leicestershire, Leicester and Rutland (ROLLR) details of which can be found via their website. The Society's Committee agreed in March 2014 to use some of the funds from the Snow Bequest to have volumes of the Leicestershire Historian scanned in order to make them available online. We are happy to say that this commitment has now been realised, with Volumes 1 - 49 now available to download for free. We hope that making the Leicestershire Historian available in this way is a fitting memorial to one of our late members. Selected back issues are available for £10 including p&p. Contact the Society's library on library@lahs.org.uk or at the address below. Volume 54 has now been sent to members, and volume 49 has been uploaded to the website and is available to view and download below. Volume 53 has now been sent to members of the Society, and contains the concluding article on the Basque refugee children who arrived in Leicester after fleeing the Spanish Civil War. This article can be downloaded for free here - Vol 53, pp.17-2. The two articles are also now available as a combined document here.